A Change of Heart is an exhibition all about flowers. 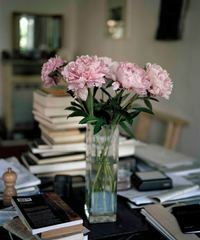 Directly addressing a subject matter that has always been historically marginalized as a subgenre, seen as little more than the byproduct of a charming amateurism, and minor art making, A Change of Heart embraces the floral still life in all its formal, symbolic, political and aesthetic heterogeneity. The exhibition seeks to mobilize and put into dialogue a radical and even dizzying diversity of approaches, including the queer, the decorative, the scientific, the euphemistic, the memento mori, the painterly, the deliberately amateur and minor as a position, and much more. To this end, the exhibition combines a broad selection of recent historical works starting from the ‘60s and the following decades up to a selection of emerging positions which address the floral each in their own way. At once quaint and absurd, the exhibition intends to touch, provoke and overwhelm through the concentrated and manifold complexity of its singular and timeless subject matter. The exhibition will be accompanied by a print handout of selected floral poems. Chris Sharp is a writer and independent curator based in Mexico City, where he and the Mexican artist Martin Soto Climent run the project space Lulu.